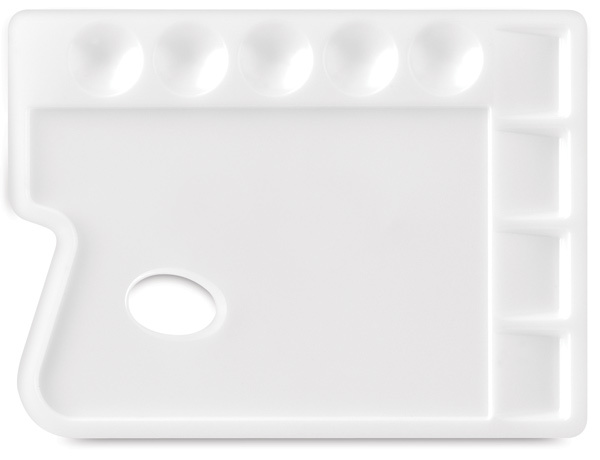 This easy-clean palette has both round and square wells (nine total) and an easy-grip thumb hole. 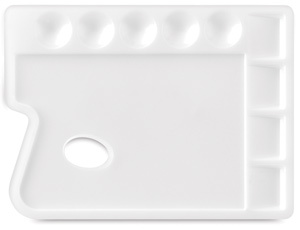 Made of durable, solvent-resistant plastic, this rectangular palette can be used for both oils and acrylics. It measures 11¾" × 8¾" (30 cm × 22 cm).